I once heard a lion roaring! He was in London zoo and I was in Regents Park in the quiet of the early morning. I wasn’t able to make him roar. That happened in his own time, usually when he was alone early in the morning, when things were quiet and still. Then, his roar would bellow over the trees and buildings, cutting right through any traffic noise. 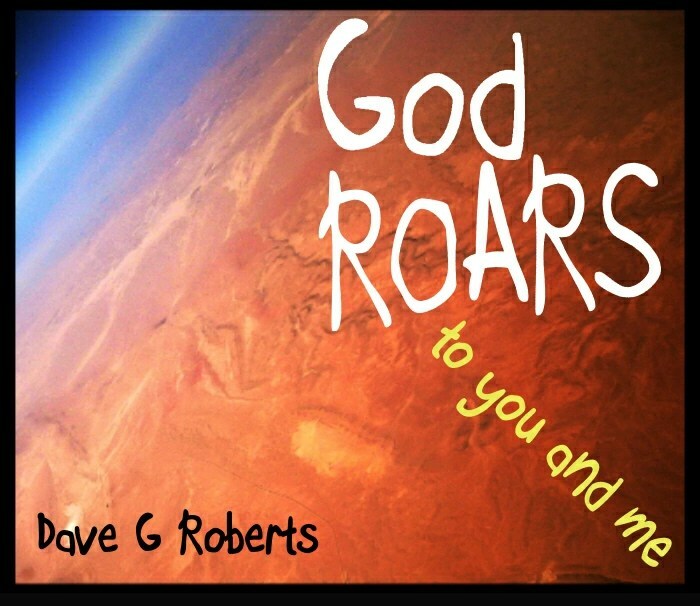 Has God ever roared? As Christian Disciples, we believe that God has indeed roared. We believe that God has spoken to this world because He loves this world. 1 John 4:16 tells us that God is love. Part of love is a desire to both know, and to be known. That is why the prophets spoke and the Bible were written. This is why God became man in Jesus Christ, because God wanted to know and be known in the fullest, human way possible. These three words, revelation, inspiration and illumination are what Christian Disciples believe about the Bible. It is God’s revealed word about His Son Jesus Christ, inspired by His Holy Spirit and only illuminated within us, as we seek Him earnestly. We know God did speak to those who wrote the Bible; but how did He speak? Was it in Hebrew? Greek? Some form of angelic language? We know that He spoke to them in their own language, as he did to young Samuel in the temple. Samuel at first thought that the voice was that of Eli the priest. At other times God spoke through angels, as when the angel Gabriel informed Mary that she would give birth to Jesus. Another method of communication used by God was through dreams and visions. An example of this is in the birth story of Jesus Christ, whereby the wise men were warned in a dream not to return to King Herod. God has also communicated by way of a burning bush and from within of a cloud. God has even spoken through a donkey, as the prophet Balaam can testify! In the Old Testament, often God spoke through the “Angel of the Lord”, which some believe to have been Jesus before He came to earth as a human. The Bible, as God’s written word, is revelation because through its pages, the Bible reveals the Living Word, Jesus Christ. The actual word inspiration is only found once in the New Testament, where Paul explicitly states, “All scripture is given by inspiration of God” or more literally “God-breathed.” Divine inspiration naturally proceeds from divine revelation. Whilst through revelation God speaks to man’s ear, it is by inspiration that God works the pen, thus ensuring that the message is written correctly. This process of inspiration has several theories attached to it. One theory called the content theory, suggests that the author garnered the main idea from God, but God allowed the writer to choose his own words. Another is the natural theory, whereby the Biblical writers were inspired in the same sense that William Shakespeare was inspired. God did not suppress the writers’ personalities. For example, the differences between the writing style of John and the writing style of Paul are easily recognizable. However, Jesus said that God chose the very letters of the words. This view states that God inspires all the words of the Bible. God was able to use humans, even with their limitations to say all that He needed to say. God wanted to communicate to ordinary people, so He used ordinary people to write and produce the Bible. In response to temptation by satan, Jesus said that man is to live by each of these God inspired words. Writers in the bible, such as Peter that knew their writings were being God guided. Peter said this was true of the Old Testament authors, his own writings and also true of Paul’s. However inspiration does not guarantee the inspiration of any translation of the Bible, but only of the original manuscripts written in Hebrew, Greek and Aramaic. God has spoken and He has communicated His Written Word to us. Firstly by revelation when God spoke to the writers. Secondly, through inspiration as the writers were divinely guided by God, in the process of writing His message. However, in order to understand God’s revealed and inspired message, illumination is required. This is where God causes the Bible to be understood by both the human heart and the mind. Why do we need of illumination? Without illumination the reader of the Bible, is blinded by both his nature and by Satan. Just as a light bulb needs power in order to give light, so does the Bible need somebody to provide the power! The person, who does this illuminating, is God the Holy Spirit. He was promised by Jesus to illuminate the Bible to the hearts and minds of all people willing to listen, both Christian and non-Christian. Take for example the Holy Spirit’s use of God’s Word to illuminate sinners at Pentecost, where after hearing Simon Peter preach, three thousand people became Christian Disciples. However, as a Christian Disciple, you also need this illumination to help you understand God’s Word. The Holy Spirit will show these tremendous truths to you as you read the Bible regularly, and ask for His help in understanding it. He will not contradict what the Bible says! By the Holy Spirit illuminating the Bible, people’s lives are transformed and changed. By way of the Holy Spirit illuminating the Bible as God’s inspired written word, God’s Living Word Jesus Christ is revealed. 2. Write down some examples from the Bible of “revelation”. •	Revelation: where God has caused the truth to be revealed. •	Inspiration: Where God causes the truth to be recorded. •	Illumination: because God causes the truth to be understood.